Many restaurants aspire to provide consistently good food at reasonable prices, but there’s one in Roanoke, Virginia that has succeeded in doing that for almost 75 years. Named one of Virginia’s five best breakfast places by Southern Living, TheRoanoker lives up to its mission at stated above. 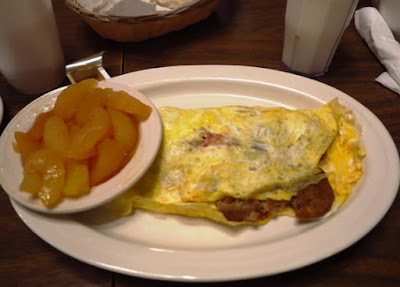 Confirm that with any of the people eating their morning meal there—between 700 and 1800 daily-- most savoring a big plate of biscuits and sausage gravy, whatever else they may order. 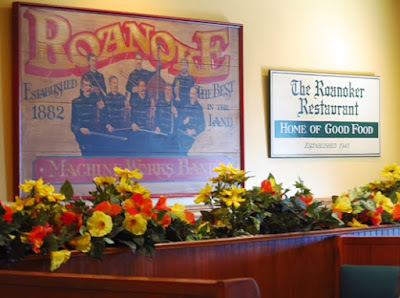 Opened as a lunch counter downtown in July, 1941 by three partners, The Roaneker was affected when two of the young men were called into service during World War II. The third, E. Crafton Warren, was left to run the restaurant and later became sole owner after the War. For many soldiers, breakfast at The Roanoker was their last meal before leaving the city to join the war effort. 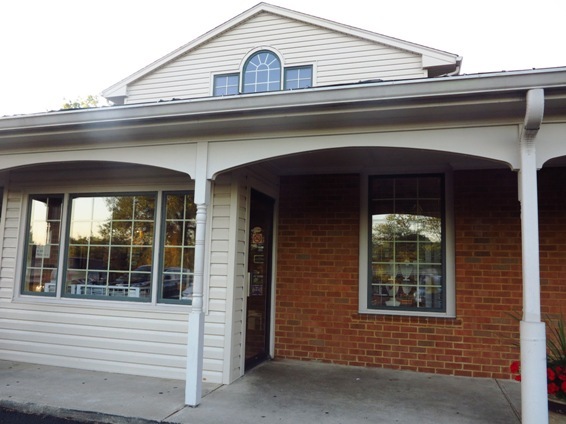 After several moves and expansions, the Warrens relocated the restaurant to the present location at 2522 Colonial Avenue in 1981. From a small room that could seat only 50, the restaurant can now seat 300 people comfortably. It has become a meeting place for families, business associates, and celebrations of special events. Current owner Renee “Butch” Craft started working there as a secretary when she was 19 years old and eventually bought the business from E.C. Warren, son of the original owner. She is maintaining The Roanoker’s tag as “the place to have breakfast” in Roanoke. Now about those biscuits. Starting at 3:30 a.m. every morning, the cook begins the process of rolling out the dough, which is made from scratch daily using Big Spring Mill flour—the same flour that has been used since the restaurant opened in 1941. That is what consistency is all about. And, yes, they are wonderfully flaky and sinfully delicious. In fact, the biscuits are so good that people request them for take-out. 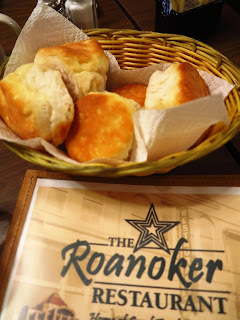 On Christmas Eve it’s not unusual for The Roanoker to sell 3500 biscuits, the limit of what they can handle on one day. The recipe for sausage gravy has been featured in several branded cookbooks—but why would you want to make it yourself if you can come here to enjoy? The Roanoker is open every day except Monday for breakfast, lunch, and dinner. The service is as good as the food, so put The Roanoker on your list of places not to miss when visiting Virginia’s Blue Ridge region.